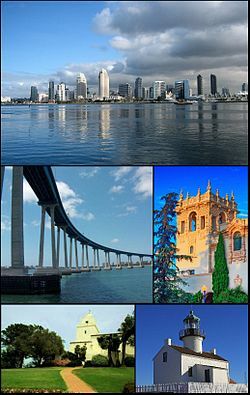 سان دييجو (انجليزى:San Diego), ده مدينه امريكانيه, عدد سكانها 1,307,402 انسان. ↑ "Office of the City Attorney". The City of San Diego. Retrieved December 14, 2016. 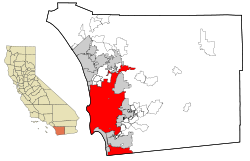 ↑ "American FactFinder – Results (San Diego city, California)". United States Census Bureau. Retrieved July 15, 2017.